This spring, I am teaching the Santa Rosa Junior College Rangeland Management class. This is my opportunity to educate aspiring students on the importance of rangelands and how to manage them. Their educational experiences include classroom lectures and field trips, learning about rangeland principles and then practice application. 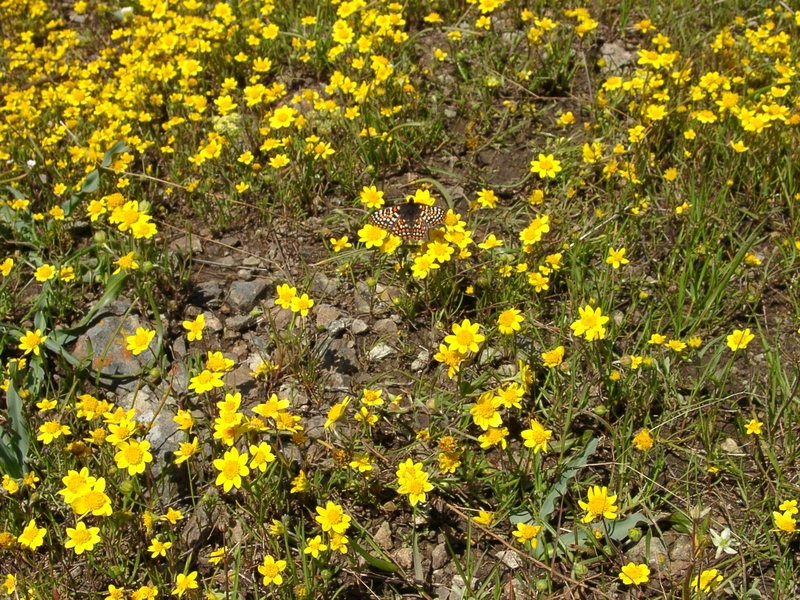 Our first field trip was to Sonoma County's Taylor Mountain Regional Park, (attached photo). 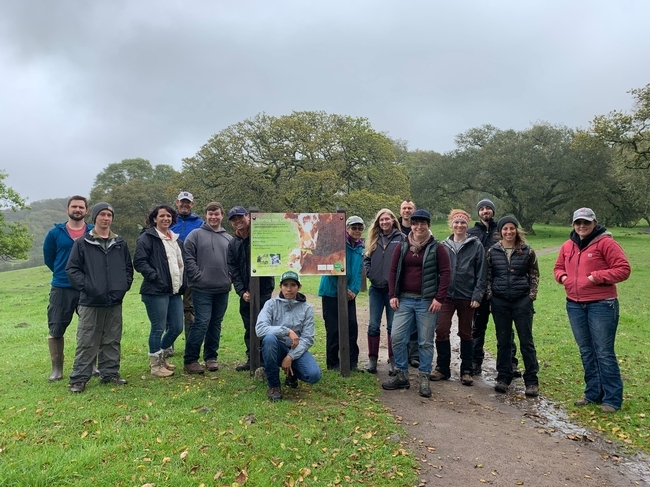 UC Cooperative Extension created, “Ecosystem Services Curriculum and Interpretative Trail Signage”, to increase awareness and knowledge for park visitors, managers and decision makers about working rangelands and the ecosystem services. The class stands by the educational signage at Taylor Mountain. Learn more about the signage at: Grazing on Public Lands. The rangelands of the United States evolved with ground disturbance since the emergence of grazing animals. With the arrival of the first Spanish settlers the rancher has played a role in this process too. American livestock grazing took off in the absence of the American Bison, which had been driven nearly to extinction by hunting, and the rancher's livestock began to fill their role in the Great Plains ecosystem. However, much like the Bison, ranchers grazing their livestock on public lands have not had an easy go of it. Homestead laws written by lawmakers in the East favored the farmer over the rancher, making it impossible to obtain a plot of land large enough to sustain a grazing operation. With no one having rights to any certain pasture, overgrazing became common as well as conflict with incoming homesteaders. These early range managers recognized the ecological problems that overstocking was creating and pleaded with congress to write legislation to organize the range to no avail. Without adequate plots of land and control on the numbers of cattle grazing in areas the failure rate was high, nearly 100% in some areas. As the homestead era came to an end in the late 1800's new challenges were presented to the ranchers of the American west. Around this time the government began making withdrawals of public land to create timberland reserves, parks, wildlife reserves, Indian and military reservations. In 1934 the Taylor Act was passed to create a system for leasing rangelands to ranchers, however it left ranchers completely dependent on the federal government for the use of rangelands. The trend of preserving public lands has continued to today and from the beginning there has been environmental groups pushing for the elimination of grazing on these lands. Even though range health began to improve after systems for controlling the use of pastures were implemented, conservation groups still called for reductions or elimination of grazing, most of the time laws have favored these groups over ranchers. In thinking that properly managed grazing degrades land conservation groups are forgetting two key aspects of the range. The first being that the livelihood of a rancher depends on the health of the range. The second, rangeland systems evolved with disturbance from grazing animals. 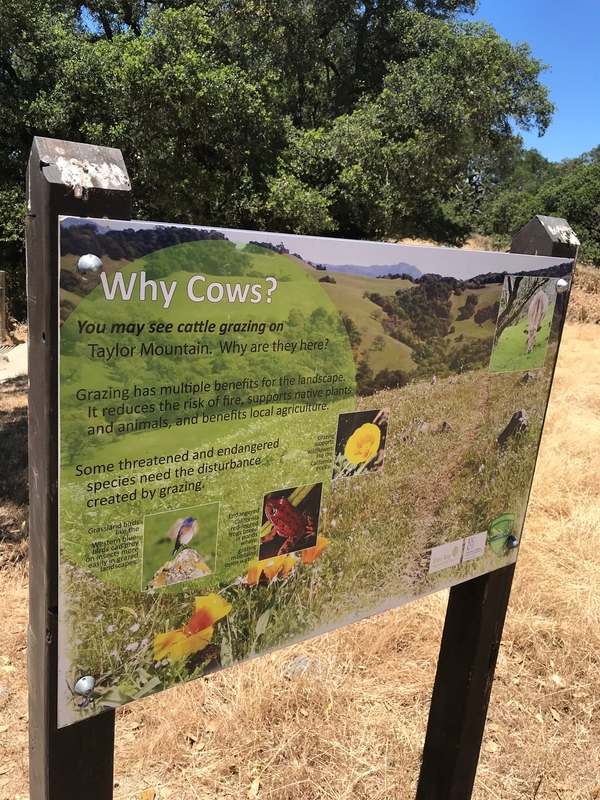 Learn more at Benefits of Grazing UCANR Fact Sheet part of the Understanding Working Rangelands series. Recently there has been some hope for changing the minds of grazing opposed conservationists. This comes in the form of the Allan Savory Holistic Management method of grazing which has gained a lot of attention in the last 6 years. Savory's method claims that using intense rotation and high-density livestock grazing it is possible to green deserts and reverse climate change. Although the claims made by Savory are not backed by science, his methods have shown positive results. Most importantly, his claims are sure to catch the interest of anyone concerned about environmental conservation. This could lead to an increased awareness of the benefits that gazing can provide to an ecosystem. Although Savory may not be able to accomplish all that he claims with his system, his popularity may help to open people's minds to grazing as a tool for ecosystem management and hopefully foster a better relationship with environmentalists and ranchers. Learn more about Allan Savory's Holistic Management grazing system.